Pour come into a small pot. Squeeze in fresh lemon, and heat over super low fire. Do not bring it to rolling boil, turn of heat when it starts bubbling. 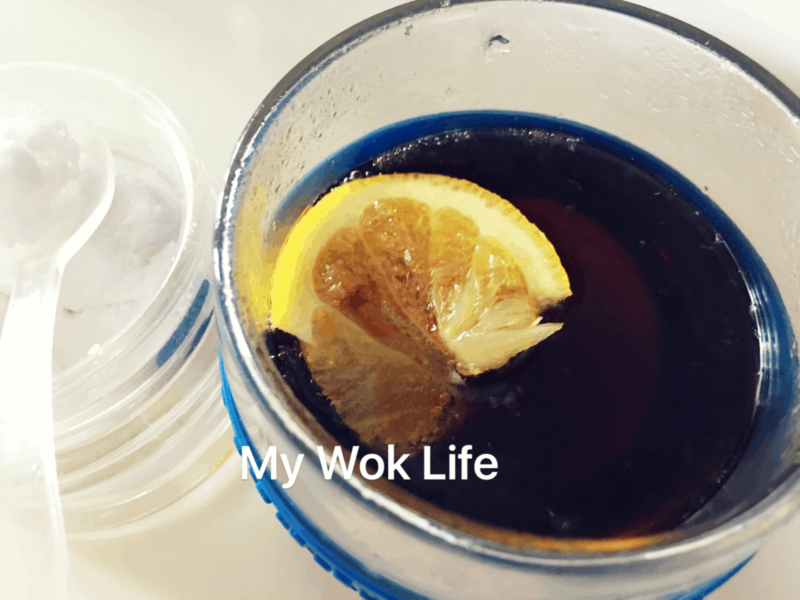 Pour hot lemon coke in a cup. Add salt. Serve immediately once the sizzling of salt in the coke subsides. If you really are concern about having carbonated beverage as cold treatment, I have another home remedy which I made for my son, of course. It’s for all ages above 1 year old. 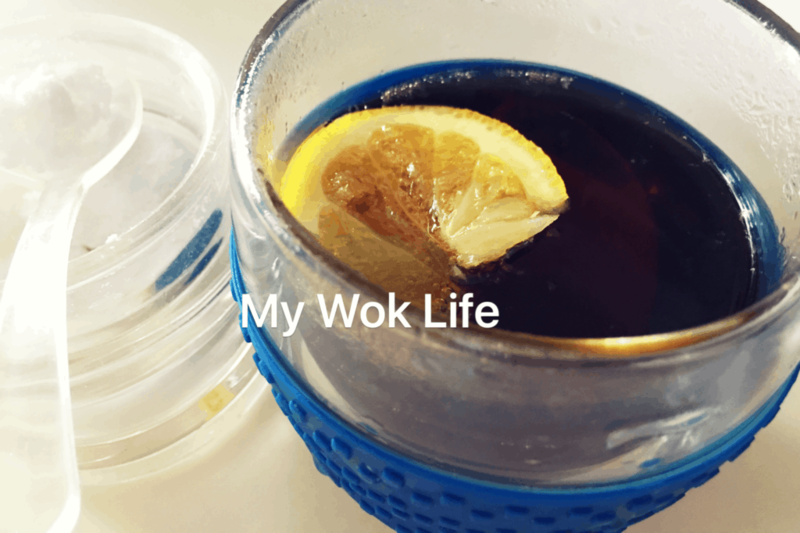 Unlike hot lemon Coke which its effectiveness might be debatable, this natural cold remedy is kinda proven to work. 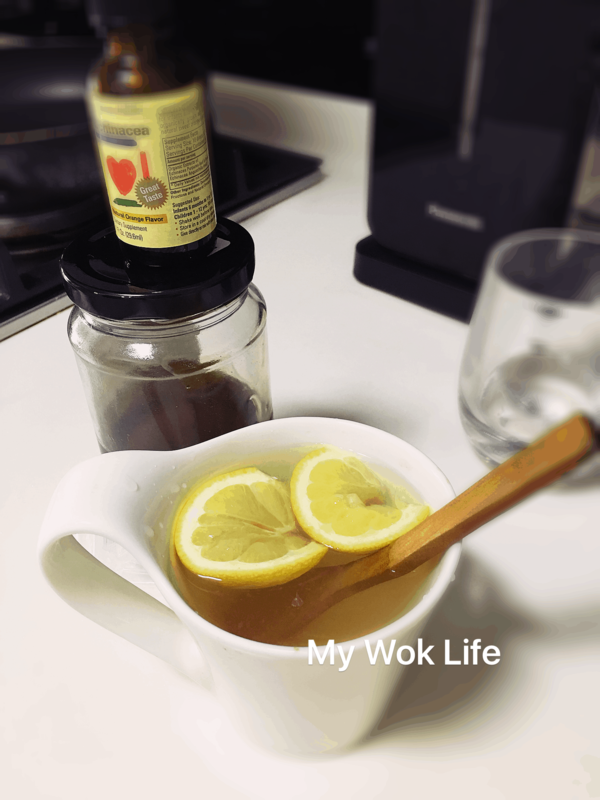 I used Echinacea drops in honey lemon drink. Echinacea, a natural plant, widely used for many benefits of health. It claimed to help in reducing and relieving cold, too. It’s available at many health supplements stores or pharmacies. Just bear in mind that the way to take this Echinacea supplement is, to continuously taking for 7 days (1-4 times a day, depending on the type and brand as well as potency of Echinacea you got), stop for 2 days, before resuming it. It is because you do not want your body to get used to it, and have the effect diminishes. You may stop taking Echinacea once your cold has subsided, or go through the cycles for about 3-4 weeks before stopping it completely for over a period of time. You may start taking this supplement when some flu symptoms appear. For regular intake, refer to the guideline stated in the label/ packaging, instead. Add honey into a cup. Squeeze in fresh lemons. Pour warm water and stir to combine well. 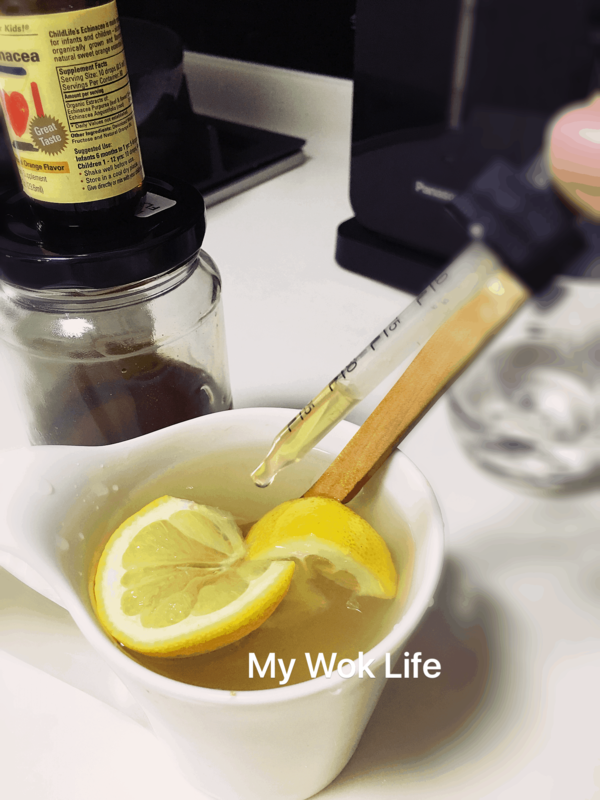 Add Echinacea drops into honey lemon. Serve. Son was having runny nose and mild cough. What I did beside making the remedy drink, I applied generous amount of Vicks on the bottom of his feet. 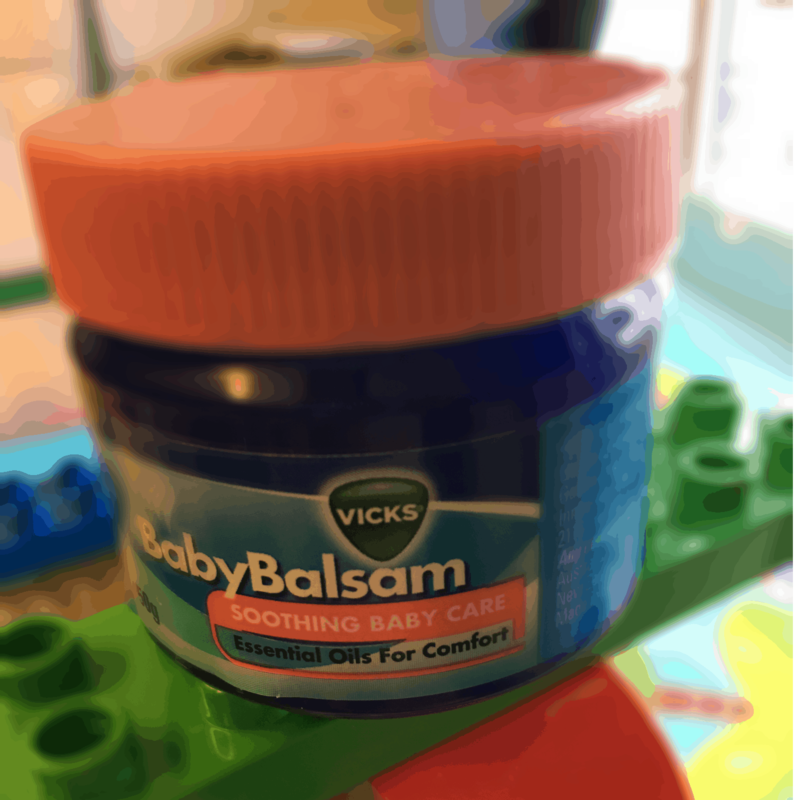 Gently rub to warm the Vicks a little on his soles, and then, put on socks for him before sleep. Leave it overnight. Tips: Echinecia comes in liquid, sachet, and capsules forms. For faster and easier absorption, I will go for liquid type, especially for children. There are many different potencies catering for adults and children. Flavored and unflavored. Go to a health store, drug stores (pharmacies) and even online to look for one that’s suitable for your need. An average price for small bottle of Echinacea in SG costs about S$40-50. * Honey can also be in different types, of course. Your preference. Not for below 1 year old.